Pianos sold privately are often unrealistically priced due to personal sentimental attachment by the seller, or offered cheap for quick sale because the piano is in irreparable condition, unable to hold its tuning and value. 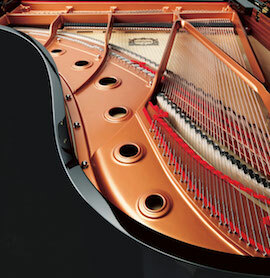 Many of our customers who purchase a new instrument from us often trade in their well-cared for pianos. Our technicians thoroughly inspect these trade-ins and bring them up to maximum play-ability before they are placed on our showroom for sale. Other used pianos from our consignment and private estate selection include carefully selected high-quality used pianos at far below the price of like-new models. Our used inventory is priced to sell quickly. Most of our used pianos are tagged at a “fraction of their new price.” All our used acoustic pianos carry our Five-Star Lifetime Trade-Up Policy. If for any reason you decide your used piano wasn’t the right piano for your needs, or if you decide to upgrade to a different piano, then you can trade it back to us and receive 100% full credit of the original purchase price – so long as the next piano purchased is of equal price, or higher. Our nearly-new Steinways, many with very few hours of play are carefully prepared, voiced and tuned to exacting standards and always at a price far below that of a new model. Our restoration team has a long history of finding the perfect Steinway to fit your requirements. 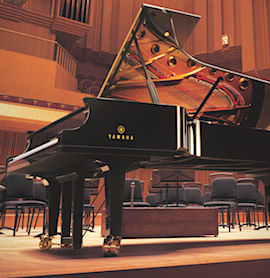 They especially love restoring “Golden Era” Steinways with their unique tonal power and sound different from newer Steinways. 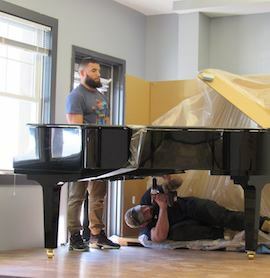 Our restoration team is passionate about bringing these pianos back to their original condition and our list of pre-owned Steinways customers is a testimony to the success of that goal. 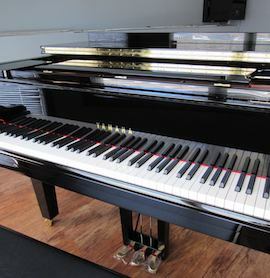 We almost always have an excellent collection of nearly new, pre-owned or restored Steinways in stock. Many of these instruments were traded for new Bösendorfer pianos or come from private consignments or estates.